bordered by the Pacific Ocean to the east, where the Hei River (閉伊川 Heigawa) flows into Miyako Bay. The area of present-day Miyako was part of ancient Mutsu Province, and has been settled since at least the Jomon period. The area was inhabited by the Emishi people, and came under the control of the Yamato dynasty during the early Heian period with the construction a fortified settlement on the coast. During the Sengoku period, the area was dominated by various samurai clans before coming under the control of the Nambu clan during the Edo period, who ruled Morioka Domain under the Tokugawa shogunate. During the Boshin War of the Meiji restoration, the Battle of Miyako Bay was one of the major naval engagements of the war. The towns of Miyako and Kuwagasaki were established within Higashihei District on April 1, 1889. The area was devastated by a 18.9 metres (62 ft) tsunami in 1896, which killed 1859 inhabitants. Higashihei District became part of Shimohei District on April 1, 1897. Miyako and Kuwagasaki merged on April 1, 1924. On March 3, 1933, much of the town was destroyed by the 1933 Sanriku earthquake, which killed 911 people and destroyed over 98% of the buildings in the town. Miyako attained city status on June 20, 1940. On June 6, 2005, Miyako absorbed the town of Tarō, and village of Niisato (both from Shimohei District), more than doubling the old city's size. 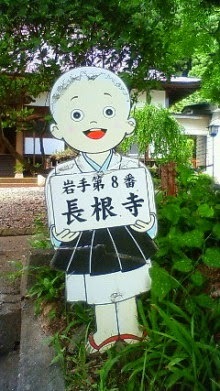 On January 1, 2010, Miyaki absorbed the village of Kawai (also from Shimohei District). On March 11, 2011, Miyako was devastated by a tsunami caused by the 2011 Tōhoku earthquake. At least 401 lives were lost. Only about 30–60 boats survived from the town's 960 ship fishing fleet. A subsequent field study by the University of Tokyo's Earthquake Research Institute revealed that the waters had reached at least 37.9 metres (124 ft) above sea level, almost equaling the 38.2 metres (125 ft) meter record of the 1896 Meiji-Sanriku earthquake tsunami. The final reported death toll from the disaster was 420 confirmed dead, 92 missing, and 4005 buildings destroyed. 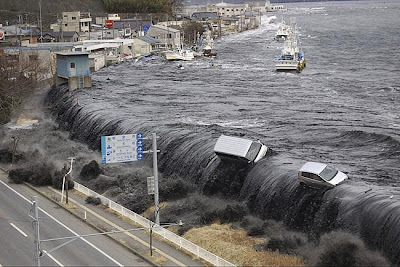 Some of the most iconic footage of the tsunami, repeatedly broadcast worldwide, was shot in Miyako. It shows a dark black wave cresting and overflowing a floodwall and tossing cars, followed by a fishing ship capsizing as it hit the submerged floodwall and then crushed as it was forced beneath a bridge. Sakanoue no Tamuramaro 坂上田村麻呂 in 807. A bronze bell from this time is still existing. Sakanoue seems to have founded three Kannon temples in Nagane (Chookon) 観音長根, with Amida Buddha too. 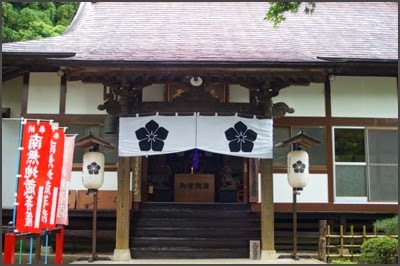 Kuromori Jinja 黒森神社 in Miyako, Iwate, too, called "Gongen Sama" 権現様, where a famous kagura dance is performed. 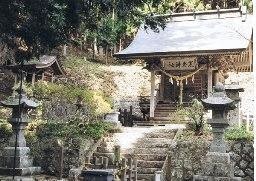 This shrine was the center of Yamabushi Shugendo in the area since the Nara period. Kuromori Yama 黒森山 is a small mountain of 310 meters in Miyako. A pile is covered to huge tree so that the name shows in the past, and, in the Mt. Kuromori of more than 330 meters above sea level, it is said that it was mountain which is thick and is at noon, and is gloomy located at the north side of Miyako city area. Because there was big cedar on the mountaintop and was accompanied by marks (expectation mountain) such as fishermen who sailed Gulf of Miyako, we gathered faith widely as mountain which protected fishery, trade of the Rikuchu coast. 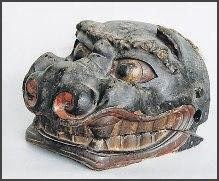 Tool for esoteric Buddhism method assumed thing of (the eighth century) in the Nara era by excavation survey of the foot of Kuromori excavates, and it is indicated that Kuromori mountain was base of area faith from the ancient times. Called "Kuromori University honorific title of a Japanese god company", and billboard announcing a framework-raising ceremony from 1370 (Oan era 3) years existed including iron covering (prefecture designation) in 1334 (origin of Kenbu era) years that was Ryozen of mixture of Buddhism and Shintoism until (the Edo era) in the early modern times, and Kuromori Shrine has been protected carefully by each generation feudal lord. As for the incarnation of Buddha (humped-head goldfish), 20 of them are stored as "retired person" including north and south early the morning and thing of estimated bearing no signature, thing of 1485 (civilization 17) years. 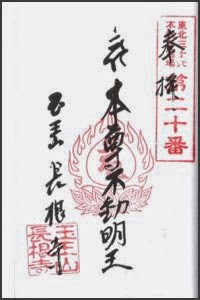 The origin of Kuromori noh dance and beginning of cruise are unknown, but it is Morioka feudal clan and local ancient document to have gone round and can confirm range like the present in 1678 (Enpo era 6) years. With "incarnation of Buddha" (humped-head goldfish) who moved divine spirit of Kuromori Shrine when Kuromori noh dance is New Year holidays, we go around village of the Rikuchu coast and we dance honorific title of a Japanese god dance at garden of houses and perform prayer of exorcism and fire prevention. We put noh dance curtain on room of private house which became hotel and play kagura performed at night and please people by dance of prayers such as staple grains abundant harvest, the big catch accomplishment or All the world is at peace and bring blessing at night. As for this cruise, kaimura does coastal place of former Morioka feudal clan every other year in "north rotation" to go north from Yamaguchi, Miyako-shi to Kuji-shi and "the south circumference" going south to Kamaishi-shi, and the range is not strange from the early days in the early modern times. Because there was not similar instance as for the long-term noh dance that went round nationwide in such a wide area either, and valuable manners and customs were continued now, we were appointed in important formlessness folk cultural assets of country in March, 2006.
. . . CLICK here for Photos - Kuromori Gongen !
. Sakanoue no Tamuramaro 坂上田村麻呂 .